Can I do anything with the hyacinth seeds? I also just made the mistake of cutting the leaves back. Is that going to kill the plant? Not necessarily. You’ll just have to wait until next growing season to see if any damage occurred. However, most likely, these hardy little plants will come back just fine. 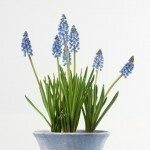 You can save any hyacinth seeds for planting next year, but generally these plants multiply best through their bulbs.